Being a travel nurse is a unique experience, but there are a few common threads that distinguish this nursing career from others. Namely, travel nurses have the opportunity to work shorter stints in hospitals across the country. This makes the job a great way to apply your knowledge, skills and experience in a new environment on a regular basis. Travel nursing can entail a lot of moving from place to place, but it is an ideal position for those who enjoy traveling and prefer to have a bit more control over their work-life balance. If you’re thinking about using travel nursing as a mechanism to achieve your career goals or your career-related New Year’s resolutions, you are in luck! Travel nursing is a great tool to check many things off of your career to-do list and help you fulfill these ambitions. Build your skillset – By working with different people in different facilities across the country, traveling nurses will receive exposure to a number of different procedures, practices and techniques. All of this experience goes towards increasing an individual’s skill-set, and making him or her a more marketable candidate for future positions. As a result, working as a travel nurse can help an individual achieve their goal of learning new things and gaining experience in a variety of fields. Grow your network – Just as you gain more experience and knowledge working in a large number of facilities, travel nurses also meet dozens of people throughout their careers. As a result, they have the chance to truly expand their professional network. The more people you know, the more opportunities can arise. Earn more money – If you have aspirations to make a little extra money in 2019, travel nursing could be the answer. Depending on the location in which you are assigned and your work facility, you may see a boost in your income. Furthermore, many hospitals are willing to pay a little extra to fill a specific vacancy in their staff for the right individual. Experience new environments – Like other careers, the culture, practices and overall environment of nursing can change from place to place. Having a greater understanding of these nuances between locations is valuable in the world of nursing because it can allow you to facilitate a better connection with your patients and have improved interactions with other healthcare professionals. Break away from routine – Sometimes nurses can feel as though they are stuck in a rut. Travel nursing can break you out of the everyday routine and introduce you to something new in 2019. The variety of jobs and locations you’ll experience as a travel nurse will certainly break up the monotony of your career. Take control – 2019 is the year to take more control over your work-life balance. Becoming a travel nurse can help you harness that control because you have greater autonomy to decide when and where to take a job, and also decide how long to stay in that position. Travel nursing gives you more flexibility in determining your schedule. Develop life skills – Since many traveling nurses are frequently on the go, individuals in this career field have to be independent, resourceful and confident. Entering this career forces individuals to dive head-first into learning these skills. Does travel nursing sound like the right career track for you? We have the resources to help you steer your career in the right direction. However, there are even more things you can do to have a successful and informative experience in travel nursing. Adapt, adapt, adapt – Travel nurses have to be able to hit the ground running with every new location and job placement. The best travel nurses are able to quickly and efficiently adapt to new circumstances and surroundings. Unleash your extrovert – To be a successful travel nurse, it helps to be more outgoing. You have to be able to reach out to your new colleagues and work with them until you understand your daily job duties. Do not be afraid to get to know your co-workers, make connections and learn as much as you can from them! Tap into your sense of adventure – One of the greatest benefits to travel nursing is that it is such a great opportunity to explore new cities and travel the country. Travel nursing is not just about what you can learn in the hospital – it is also about learning what your new home has to offer. 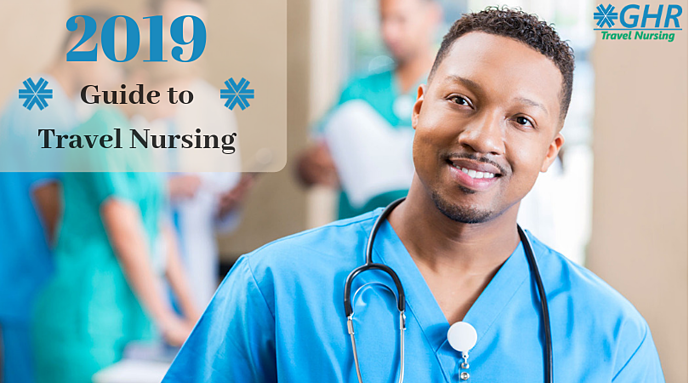 If you are looking for change in 2019, travel nursing might the right choice for you. From increased learning opportunities to additional income, there are countless ways that travel nursing can help you achieve your career goals. Learn more at www.ghrtravelnursing.com.